For some reason or other, Mallorca has become a much favoured place to hold athletic races of the mega distance. The island capital organizes an annual International Half Marathon ‘Ciutat de Palma’, currently in its 18th year, which attracted in excess of 1,500 runners about a month ago. The TUI Marathon was launched in 2003 and is now in its 9th year. Last year, 1,404 runners attempted the full length marathon and 3,487 runners started out in the half marathon. This year’s competition will be held in October. In 2011, the first ever Mallorcan Ironman triathlon competition was held with 1,698 participants who braved a swim course of 1.9 km, a cycling distance of 90.1 km and a running circuit of 21.1 km. This year’s Ironman will be held in May. 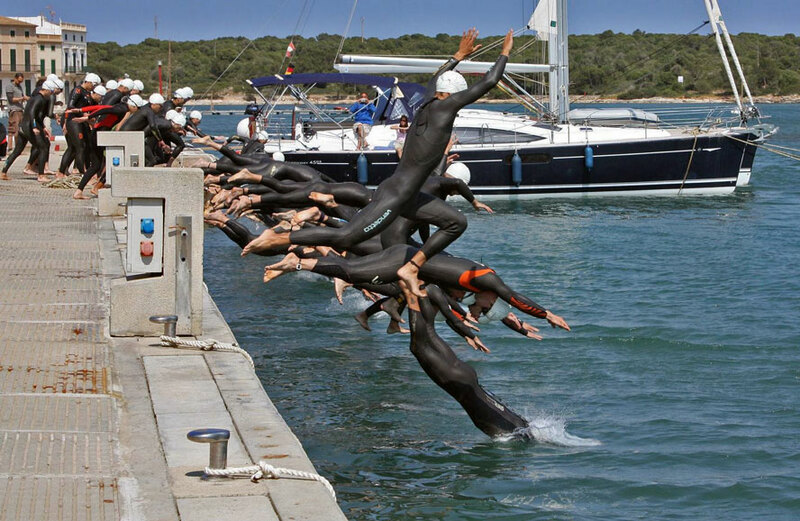 Last Sunday, a triathlon was also held in Portocolom, already for the 15th time, covering 1 km of swimming, 10 km of running and 100 km of cycling. 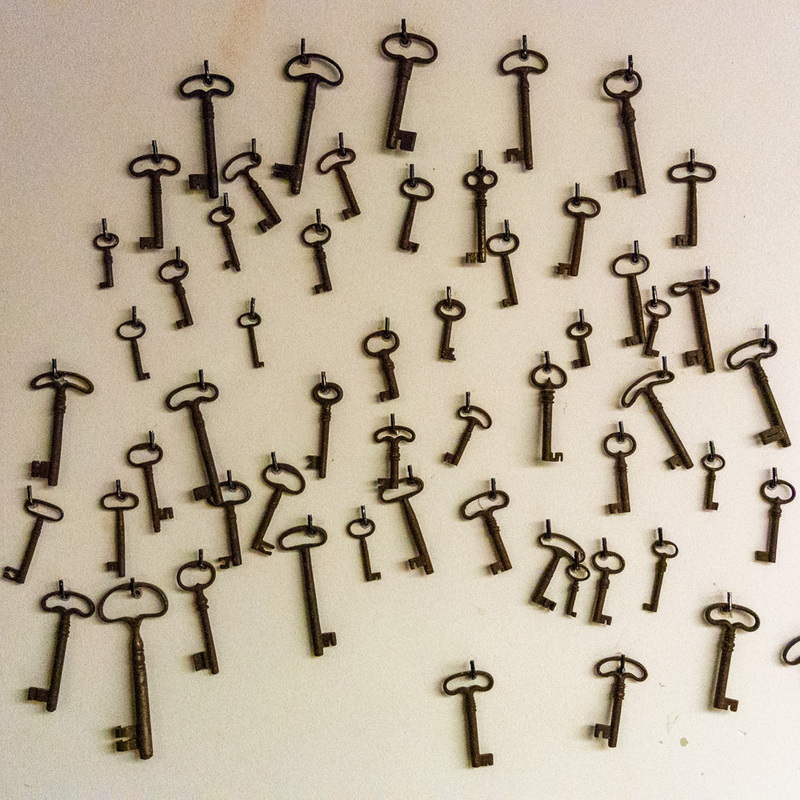 The photo (below) is from the 2009 event. Next Saturday, April 21st, an Ultratrail Serra de Tramuntana will be held for the fourth time, spanning 105 km of Tramuntana mountain terrain from Andratx to Pollença (see photo above). A shorter distance (the Trail Serra de Tramuntana) will be held the same day between Valldemossa and Pollença (62 km). I am not sure if you can imagine the utter exhaustion a run over such a distance of the roughest mountain trails, up from sea level to about 1,300 metres of altitude and down again, will cause the participants. I simply do not know how they do this but I certainly have nothing but respect for the athletes’ endurance and stamina. The winner will need no more than 12 hours, can you imagine? Last year, there was one man (Toni Contestí) who ran the Doble Ultra Trail Serra de Tramuntana from Andratx to Pollença and back again, would you believe it, in an incredible 39 hours and 35 minutes. That’s 219 km of running through the unforgiving mountains. Unbelievable. All this makes me feel such a wet. 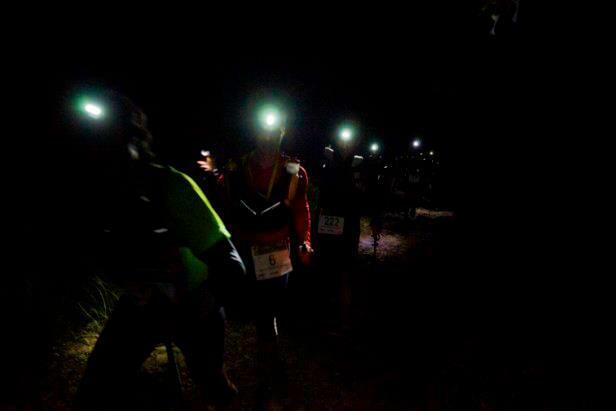 The photo (top) was borrowed from the Internet, courtesy of facebook.com/TrailsMallorca. The photo (bottom) was borrowed from the Internet, courtesy of sergiotriatlo.blogspot.com.es. Wow – I can’t even begin to imagine running that distance! I am good with the cycling! An impressive feat – some of those hills are out of this world on a bike – I don’t know if my legs would be able to run!